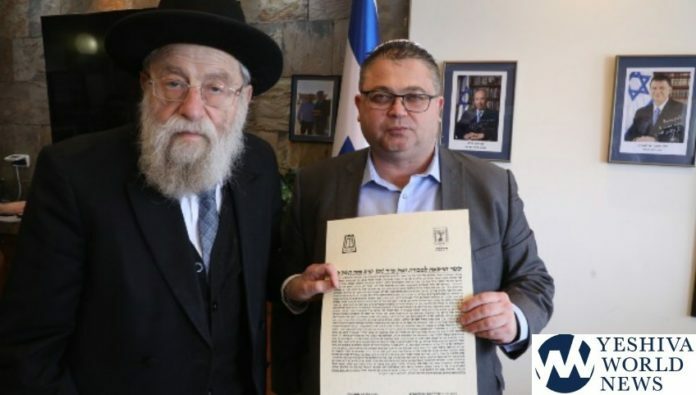 Jerusalem Chief Rabbi HaRav Aryeh Stern visited the Knesset on Tuesday to meet with the Director-General of the Israeli parliament, Albert Sachrovitz, who was the shaliach to sell the Knesset’s chametz. The two are seen in the attached photo. Rav Elyashiv said that the kenesset is a Beis Minus.